One of the most unique features of the Newvista Survey Community is that you are paid £1 for every 5 minutes you spend completing surveys with them. 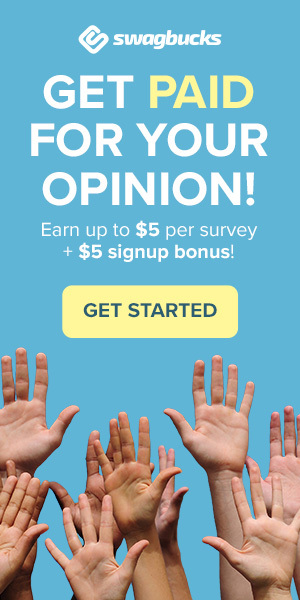 This rate applies to every paid survey that you are invited to. Since launching they have paid out over £3 million to their members. Around 1000+ members each week receive a £50 cheque. Newvista Live is a true online market research community website where you can earn £s in cash for the time you spend completing surveys for them. The site was created by Creston plc insight companies ICM Research, Marketing Sciences, MSTS and CML. One of the most unique features of the Newvista Survey Community is that you are paid a set rate of £1 for every 5 minutes you spend completing surveys with them. This rate applies to every paid survey that you are invited to whilst you are a member of the site. To get started at Newvista Live simply fill in the required details on the right of the homepage and follow the on-screen instructions. On registration you must complete a demographic profile survey. It’s highly recommended to login to your account after you have registered and fill in the other profilers. By completing the profilers in full you will increase your chances of receiving as many high paying surveys as possible. When a survey becomes available that matches your demographics you will be sent an email invitation. This email will contain how long it will take to complete, the reward and the link to start the survey When you get an invitation its best to participate as quickly as you can in order to avoid disappointment as once enough people have completed it, it will be closed. Due to the popularity of Newvista Live this can occur regularly. When completing online surveys at Newvista its not recommended to rush through them without thinking about your answers. This is because they have quality control questions in place. If you fail their quality control because your answers don’t make sense then no points will be credited to your account. To avoid this you must take your time and read each question before providing an answer. For each completed survey you will get points credited to your account. Once you have accumulated 50 points the site will automatically cash you out and a cheque will be sent to you the following month. As this is done automatically you must always make sure that the address details in your account section are up to date. If you have any payment queries then you must contact Newvista Live within 6 months of your payment date. Any queries sent after 6 months will not be investigated. As well as cash rewards there is also 2 monthly prizes of £250. Entries to this draw are awarded to anyone that gets screened out of a particular survey. The lucky winners of this draw will be notified within 4 weeks of the draw date. Since launching they have paid out over £3 million to their members. Around 1000+ members each week receive a £50 cheque from doing their regular high paying surveys. Due to this we would recommend Newvista Live and think it well deserves 4/5.